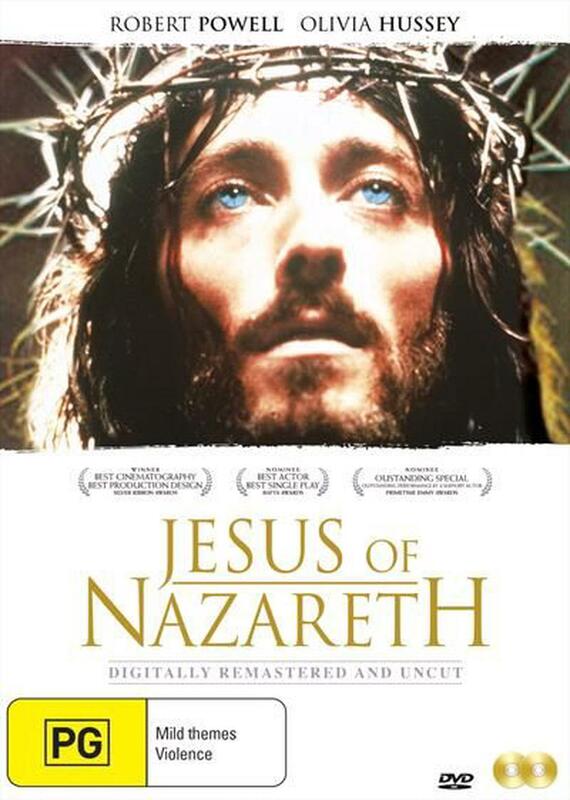 A compelling portrayal of the life and death of Christ (Robert Powell) traced from birth, through his childhood pilgrimage, his baptism by John the Baptist (Michael York), the miracles, and culminating with his crucifixion and resurrection. Four years in the making, this powerful epic has been critically acclaimed and lauded by religious leaders worldwide for its sensitivity, passion and ecumenical deference. Franco Zeffirellis internationally acclaimed and award-winning screen version of the life of Christ and which confounded critics by its impressive majesty, innate honesty and historical and religious accuracy. The powerful epic features numerous international stars including and (in alphabetical order): Anne Bancroft, Ernest Borgnine, Olivia Hussey, James Earl Jones, James Mason, Sir Laurence Olivier, Donald Pleasence, Christopher Plummer, Anthony Quinn, Sir Ralph Richardson, Peter Ustinov and Michael York.